Pulmonary fibrosis is a condition characterized by scar tissue growth inside the lungs. When you breathe, oxygen usually moves through air sacs within the bloodstream and travels to the organs in your body. People who suffer from pulmonary fibrosis develop a thick scar tissue that slows down oxygen that flows from their lungs to their blood, which prevents the body from being able to work as well as it should. Stiff scar tissue and low oxygen levels make breathing difficult and uncomfortable. While there are a few treatments that can help the symptoms of pulmonary fibrosis, there is no cure and symptoms don’t usually get better. For some people, pulmonary fibrosis worsens quickly, while others can live for a decade or more after their diagnosis. Some therapies make breathing easier and can help patients manage symptoms. Exposure to environmental factors like pollution, medications and some infections can cause pulmonary fibrosis (PF), but most of the time the cause is unknown. People at a higher risk of developing PF are those who smoke, breathe in metal or wood dust and those who have acid reflux disease. People who suffer from PF experience symptoms like a dry, hacking cough that won’t go away, shortness of breath, feeling tired, aching joints and muscles and the clubbing of fingers and toes. PF can be difficult to tell apart from other lung diseases like asthma because it shares many of the same symptoms. Asthma is a disease that is characterized by inflamed bronchial tubes and the increased production of secretion inside the tubes. People who suffer from asthma experience symptoms of airway tightening which can include coughing, wheezing, shortness of breath, chest pain and tightness. People experience symptoms of asthma in what are known as “asthma attacks.” Attacks are episodes where the muscles that surround the airways tighten suddenly, called bronchospasms. During an attack, the airway lining becomes inflamed and produces more thick mucus than usual. Not everyone with asthma will experience the same symptoms, and they vary from one asthma attack to another, ranging in severity. The exact cause of asthma is unknown, but it can to be hereditary. People who have a mother or father with asthma are more likely to develop the diseases themselves. Children who develop certain respiratory infections can experience damage to the lung tissue that can result in asthma. Environmental factors like allergens, irritants or exposure to viruses in infancy or childhood when the immune system is still developing, have been linked to asthma development. Those who work near certain chemicals and dusts have been known to develop adult-onset asthma. While each person’s asthma is different, a healthcare provider will prescribe medication to control asthma symptoms and breathe easier. They usually prescribe a combination of quick-relief medication and long-term control medicine. Are Asthma and Pulmonary Fibrosis Connected? While there is no direct link to pulmonary fibrosis and asthma, they are both diseases that affect the lungs and a person’s ability to breathe. Diagnosing idiopathic pulmonary fibrosis is difficult since the cause is unknown, but asthma itself is not a known cause of pulmonary fibrosis. However, early symptoms of asthma that are related to known environmental triggers can be associated with hypersensitivity pneumonitis, which can be a precursor to pulmonary fibrosis. 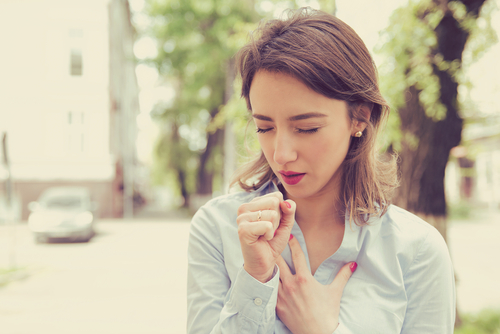 A connection between asthma and pulmonary fibrosis comes about because PF is sometimes misdiagnosed as asthma due to the similarity in some of the symptoms. Pulmonary fibrosis has symptoms similar to other lung-related diseases as well, such as congestive heart failure and chronic obstructive pulmonary disease (COPD). 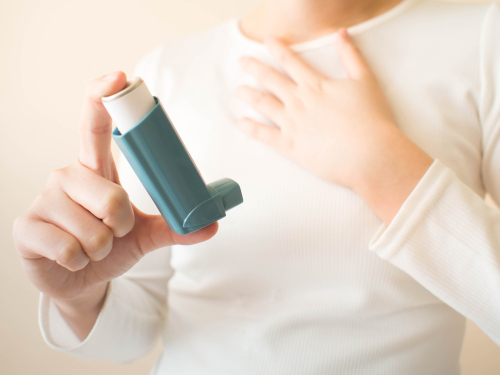 Since the environmental factors that contribute to asthma can also contribute to pulmonary fibrosis, both of these diseases can exist at the same time in the same patient. Both asthma and pulmonary fibrosis can lead to lung damage, but scarring is more extensive in PF and can eventually lead to lung injuries, destroyed lung tissue and respiratory failure. While pulmonary fibrosis often progresses to other conditions like respiratory heart failure, asthma does not. Pulmonary fibrosis and asthma are two different lung diseases that often share the same symptoms, like difficulty breathing and shortness of breath. Asthma does not cause pulmonary fibrosis, but PF can be difficult to pin down and is sometimes misdiagnosed. Asthma is a bronchial disease which causes the bronchial muscles to tighten and restrict, leading to shortness of breath. Pulmonary fibrosis is a disease of the tissue inside the lungs and is characterized by scarring that prevents oxygen from reaching the blood.